There's more to a website than a few pretty pages to look at so we include everything you need to keep your website running and bringing in the business. 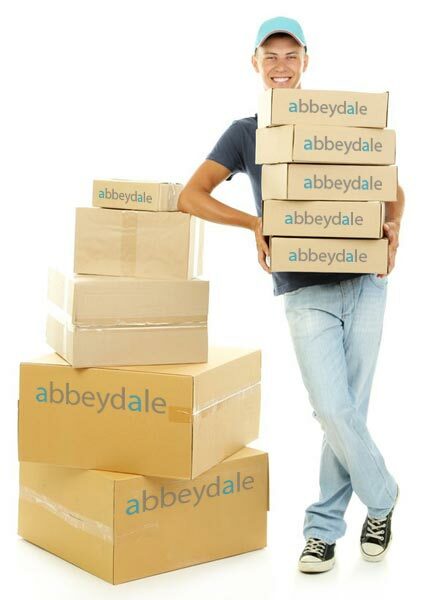 Your domain is your website's address, like tesco.com or abbeydale.net for example. We can register a new domain for you (we include a free .uk domain if you need it) or use an existing domain if you have one. We always register new domain names in your name, not ours. It's part of your business brand after all. This goes without saying - planned, designed, built and tested... in Sheffield. Almost all of our websites now include content management so you can update it yourself without having to come back to us each time. We also include training in the system, on your own website, so you know what you're doing. We research the key words and phrases relevant to your business and optimise the text and coding of your website pages for those key words. We also include site maps - both an XML site map, which we submit to the search engines, and a visible site map for human visitors. Link building, social media promotion and other forms of off-page SEO can also be included on request. Both Google Analytics and Webalizer statistics are included in all websites so you can see how many visitors your website is getting, where they come from, which pages they look at, how long they stay etc etc. We'll show you how to use it and there's a page about Google Analytics right here in the support section. This is renting space on a web server so your website is available on the web, 24/7 and we include the first year's hosting free. In the second and subsequent years hosting is charged at, currently, from £49 to £89 per year depending on whether we're looking after your domain too. You can arrange your own web hosting if you prefer but do remember that not all hosting packages are equal. We choose our hosting providers with care to ensure that they provide the technical facilities we need and have a track record of reliability and effective support. Our hosting packages provide email addresses @ your domain - anything else just isn't professional! These can be mail boxes or forwarders to another email address so you can have generic addresses like sales@, accounts@ etc as well as personal email addresses for specific staff members. All mailboxes have webmail too. We'll advise on how avoid junk mail and ensure that email links on your website are protected from 'harvesting' by spammers. Once you're up and running we'll keep out of your hair, but at some point before the first year is up we'll get in touch to offer a review of your website to see how it's been performing and suggest possible improvements for the coming year. Although we try to keep a low profile and let you get on with your business we're always available if you have questions about your website or encounter any problems (contact us here). This website provides support articles for a number of issues that new website owners sometimes find difficult - setting up email accounts, using web mail or analytics. There's even a glossary of web terminology. If you need more than the odd email or telephone call and would prefer us to be more involved that's fine too - it's included the first year and we can continue what ever level of support you need in subsequent years tho there will be a charge. We include maintenance renewal with your annual hosting renewal and the cost depends on your requirements but is typically from £100 to £300 per year.